In 1966 Mr Cecil Cottingham and his wife Grace bought Staverton, which was then a house and four and a half acres of land. This had been farmed by the previous owner who had also rented adjoining ground. Mr Cottingham’s two sons Clem and Sam took part time jobs and spent the rest of their time at home cultivating the land and growing fruit, vegtables and cut flowers. They started with a table by the roadside selling to locals and the passing trade. For a few years they earned additional income in the winter by building up a customer base selling and delivering potatoes to the local villagers, this later included all sorts of other greengrocery items as well. A small shop was built beside the road in 1969 as trade increased. 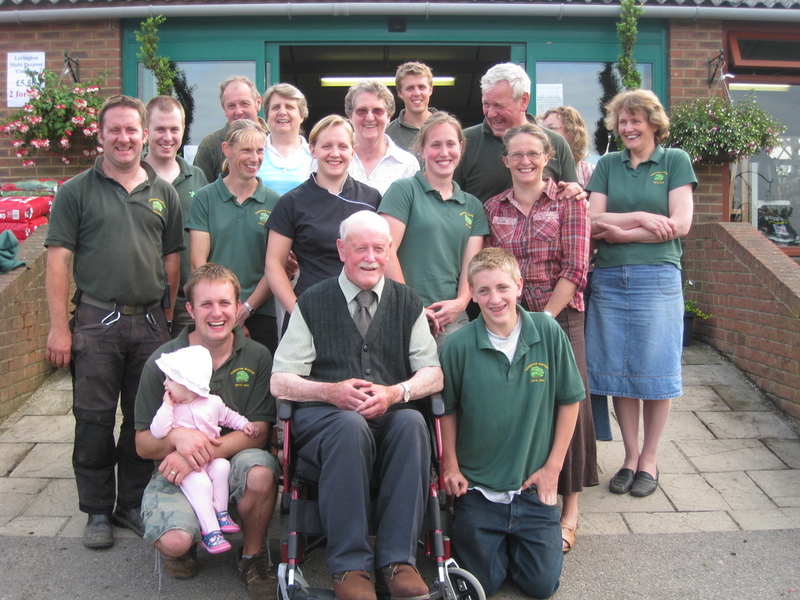 In 1976 Cecil Cottingham and his sons purchased 18 acres of land adjoining the original property which they also cultivated and grew potatoes, vegetables and soft fruit on a much larger scale. The full force of the hurricane in 1987 was felt and a large amount of damage was sustained. As the years passed and with the explosive popularity of large supermarkets it became necessary to diversify and look at another way to make a living. This was done by growing bedding plants and perennials. This proved to be a good choice and again a larger shop was needed more orientated towards the modern ‘garden centre’. This took place in 1997. 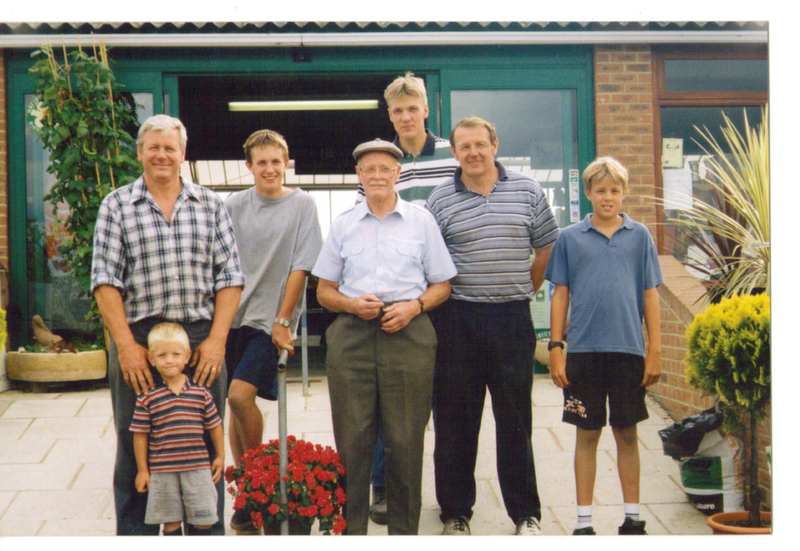 During these years Cecil’s grandsons Philip, Matthew and Tom have joined the business. 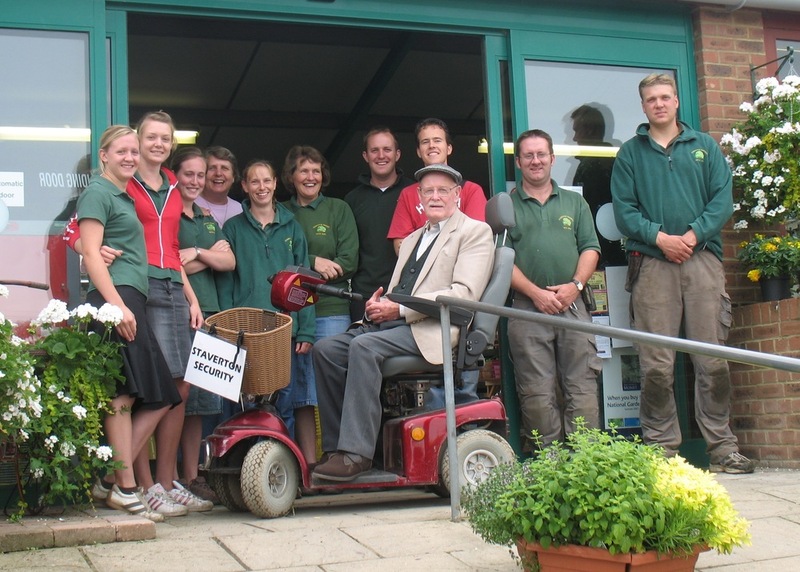 Cecil sadly passed away in October 2012 and is greatly missed. But the business continues to expand and other members of the family continue to join the business. This is our new greenhouse which we finished in February 2016. 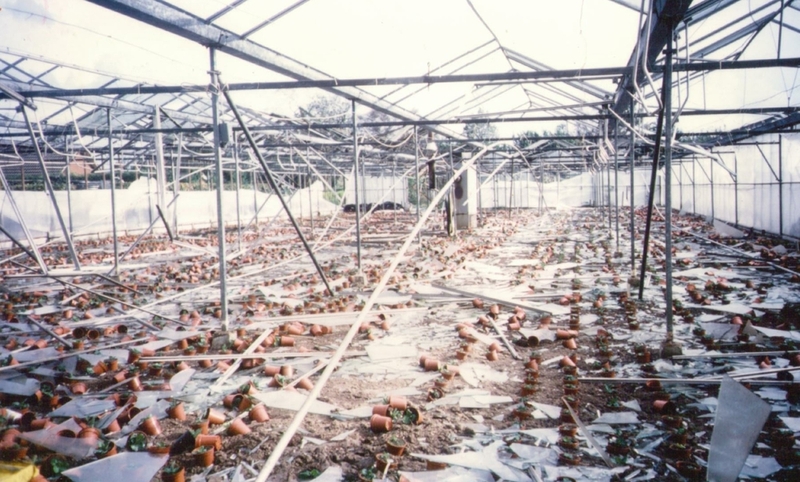 This is the old '5 bay' greenhouse being demolished. This is the first artists impression we have received of the new shop. The builders arrived on 25th July and began work, which we plan to finish by the 2nd December. This will be open to the public in January '17. The roof is now finished and the electrician (Graham Cottingham) has started work. CRB Construction are the main contractors and they have been breaking up the floor in our current building to make room for a new office and customer toilets. Cladding about to commence on the front of the shop. The exterior of the shop. The interior of the shop with most of the plastering complete. 50 Years after starting in business we have been able to build a new purpose built shop and opened on the 3rd January 2017. In an impromptu 'opening ceremony' Tony Elphick (from Elphicks of Lewes) and Susan Lewis cut the ribbon and declared Staverton Nursery open for business. Then followed a very busy day with lots of mince pies and mulled punch!